Want to make a fast getaway? Here’s how to do it on a budget. WHEN IT COMES to performance cars of any kind, there is one factor more than any other that is used as the barometer for measuring its potency – the 0-100km/h dash. In reality, it’s not the most important thing at all unless traffic light grand prix are your bag. Nevertheless, it’s one of the first things that anyone with a fast car will likely tell you should you show an interest. With that in mind, here’s a look at some of the better accelerating cars that you can pick up in the used market for €10,000 or less. We all know that these days the fastest BMW 5 Series in the range is the M5. But a new one of those will set you back well over €100,000. You could look at an older one, but research the many ownership expenses of running models like the E60 M5, with its 5.0-litre V10, and it makes for chilling reading. Something slightly safer but still with decent performance is the same generation’s 535d. Using a 3.0-litre straight six-cylinder engine, it produced 286hp and a healthy 580Nm of torque. While not entirely trouble-free, finding the right one of these will make for a good car capable of hitting 100km/h in under seven seconds. There are few car makers better at honing a chassis than the boffins at Renaultsport. These days you can pick up a second-gen Megane RS for around half of the €10,000 budget we’re working off here. This version of the Megane RS features a 2.0-litre turbocharged petrol engine with 224hp. When this left the factory, it was capable of cracking 0-100km/h in 6.5 seconds, which even by today’s hot hatch standards isn’t too shabby. These days the Nissan 350Z is getting on a bit in age, but it still looks good when compared against some of the current crop of Japanese sports cars. When it first came on the scene, this rear-wheel drive coupe featured a 3.5-litre V6 that initially produced 283hp. Later models from 2007 onwards made 313hp. Making the right getaway would see this Nissan hit 100km/h in little over 5.6 seconds on a good day. 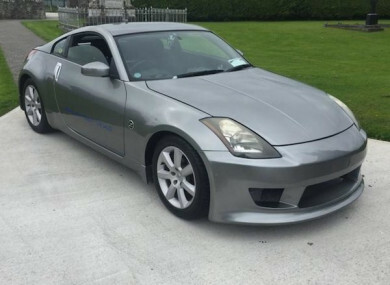 Although rarer in Ireland, it was also possible to buy the 350Z as a convertible with a soft top. With a 1-100km/h sprint taking a blink over seven seconds the FN2 Honda Civic Type R isn’t the fastest of all hot hatches, but it does make for a great all-rounder and forms the basis for some extensive tuning possibilities. Its 2.0-litre four-cylinder atmospheric engine loves to rev, ensuring you can make the most out of its 201hp. If you can get your hands on an original standard car, then all the better as these are becoming increasingly sought-after. Email “How to buy an exceptionally quick car on a €10k budget - and 4 you should see first”. Feedback on “How to buy an exceptionally quick car on a €10k budget - and 4 you should see first”.